We are pleased to inform you that the new Impact Factor of Toxins has been released. 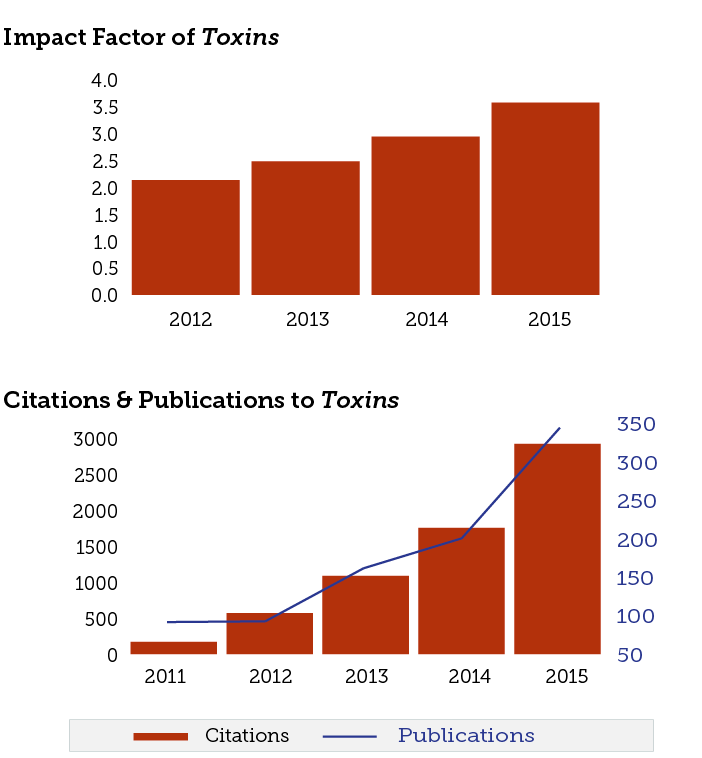 According to the Journal Citation Reports®, published by Thomson Reuters in June 2016, the new Impact Factor of Toxins is 3.571, and the 5-Year Impact Factor is 3.942. Compared to last year, the Impact Factor has increased by 22 percent (see figures below). Toxins now ranks 16/89 (Q1) in the category ‘Toxicology’ and thus remains one of the most relevant Open Access journals in the category. It is ranked third highest among the Open Access journals in this category.